All 3 plants died. Very disappointing. This heirloom (about 1858) is still tops for its vigorous growth and solid good looks. The crisp formality of white blooms with golden centers is matched by dark green foliage that remains attractive all season. Makes a fine addition to the front of a shrub border, where its blooms will add sparkle. Anemones thrive in full sun or partial shade (required in the South and the warmer areas of Zone 9 in the West) and deep, rich, moist soil. Once established (which may take a year or two), they will fill in any available space, though these plants are far too charming to be called invasive. 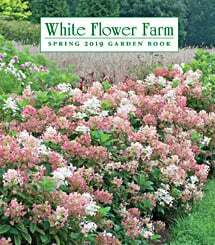 Attractive green foliage during the summer and surprise with an elegant, medium-sized white bloom just as everything else in the garden is burning out for the summer season. An essential part of my city terrace garden. A great choice for gardeners who enjoy Japanese varieties. This is my favorite flower! I have probably purchased around 10 of these plants and most of them did die. However... One plant in my front yard, and two plants in my back yard, have not only survived but spread to fill in areas quite large. It sends out suckers (?) beneath the soil. I have so many of these plants now. And they all survive and keep multiplying. I love it. They are so pretty when they bloom and a gentle breeze makes them sway and bounce around. I have both white and pink varieties. I think it was worth the effort to keep trying them. I am now rewarded with many new baby plants each year. These plants thrive in deep, rich, moisture-retentive soils where they get some relief from the mid-day sun (afternoon shade is required in the South and warm inland areas of the West). May be slow to become established but will eventually spread happily and bloom freely if conditions are to their liking. Varieties that grow in excess of 36 inches tall may require staking.